Building trust is vastly different from trying to establish who is right. It is about committing to, and working to achieve outcomes that people are willing to stand behind. Never put yourself in a position that could lead others to question your character, your trustworthiness, or your integrity. Think about jobs you have had or you currently have. When you trust the people you work with—your boss or the company leadership, for example—not only are you highly engaged but you also enjoy what you are doing; and you do everything you can to bring success to the organization. More importantly, when people trust each other, they take ownership of their environment and hold themselves and others accountable. On the other hand, when someone’s integrity, character or trustworthiness is put into question, the whole organization is negatively affected. This lesson is about building trust, keeping trust and (occasionally) having to gain back trust. Trust is the groundwork of all relationships, especially of good functioning teams. It is critical for effective communication and employee engagement. It is a major factor of employee retention, and employee motivation and contributes to discretionary energy, which causes employees to go “above and beyond”. When trust exists in the workplace, everything else is easier to achieve. You can cultivate a culture in which people think performance, quality, and exceptional service—but there’s a big difference between these efforts resulting from the basis of trust; or from simple compliance. 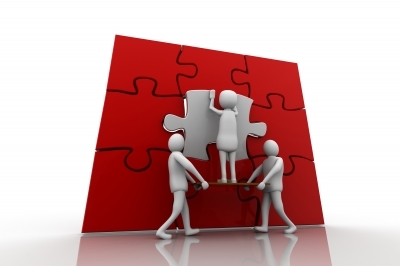 Results coming from a “trustworthy” organization resonate better with the market or with external entities. People want to patronize your products and do business with you if they trust you. Once trust is broken, it’s said that it can never be regained. When this happens in the workplace, the relationship can take a very long time to mend. Productivity and efficiency is affected because the parties involved become guarded and suspect “hidden agendas”. However, honest mistakes will happen and these experiences also produce valuable lessons. Because trust is a core foundation value, never put yourself in a position that could lead other people to question your character, trustworthiness, or integrity. The process of building trust, character and relationship takes time, but can be destroyed in an instant. In the workplace, there should be certain people we are able to trust without reservation: one of them is our manager. Managers build that trust by fulfilling accountability. This includes accountability to create a better and safer workplace; to have the best processes and tools to run the business and enjoy competitive advantage; and to expand opportunities for employees. We shouldn’t have to doubt the motivation behind managers’ decisions because there should be no motivation other than doing what is in the best interest of the company—based on company values and objectives. However, in a workplace environment it is unavoidable that perceptions of unfair actions, inequities in various forms, and conflicts of interest may arise. In these situations, building trust is not easy. Successful trust-building in the work place hinges on three elements: clarity of purpose, open communication and a win-win attitude. 1. Clarity of purpose is represented by the company’s vision and purpose. It is the structure of any organization. It is what keeps it moving forward with direction. It provides meaning to the day-to-day challenges. Building trust is vastly different from trying to establish who is right. It is about committing to, and working to achieve outcomes that people are willing to stand behind. 2. Open Communication is important in any relationship building. It is also important in maintaining trust. How effective communication is in the work place is key. This is particularly important when implementing difficult decisions—for example, reorganizations, which potentially (and naturally) creates a certain level of distrust between leaders and employees. In order to address this distrust, leaders need to show their employees that the reorganization is for the good of the company (and its employees). 3. A win-win attitude approaches work as a collaborative endeavor, not a competitive one. This attitude creates trust as both parties seek mutual benefits in interactions. Win-win means agreements or solutions are mutually beneficial and satisfying. A person or organization that approaches conflicts with a win-win attitude develops vital character traits and strengths such as integrity, trustworthiness and collaboration. The best way to maintain trustworthiness is to keep away from breaking trust in the first place. Successful trust-building in the work place hinges on three elements: clarity of purpose, open communication and a win-win attitude. Ira Fialkow is the SVP of Member Services at Peeriosity. Prior to this, Ira was EVP of Shared Services at CEMEX and Rinker Group (acquired by CEMEX is 2007) from 1990 through joining Peeriosity in October 2010. Rinker Group was the initial recipient of the Best Mature Shared Services Award in 2003. Ira lives in Palm Beach Gardens, Florida and has been the champion of his fantasy football league in three of the past five years. If there is only one thing you can work on that will change you and your working environment, it is your attitude. Have you ever noticed that a positive attitude is infectious? Having employees with pleasant attitude could mean the difference between a positive and supportive working environment and a workplace full of destructive conflict and negativity. You’ll go an extra mile for someone with a good attitude who’s pleasant to be around. Regardless of the circumstances of the company, you can create an environment where people genuinely care. If there is only one thing you can work on that will change you and your working environment, it is your attitude. This article will discuss the importance of developing a pleasant attitude as well as give you some tips on how you can develop it. Developing a good attitude in the work place creates a win-win situation. As an employee, a pleasant and positive attitude is indispensable to creating relationships with peers that will help you succeed in your professional endeavors. Your work attitude determines how high you can climb the corporate ladder. Your attitude determines how other people in your working environment perceive you. If you decide to have a cheerful, outgoing attitude, people will be drawn to you and you will be easy to collaborate with. You have total control. Your attitude determines whether you are open and proactive or closed and reactive, positive or defensive, advance ideas or bury them; and by our own attitude, we and we alone actually decide whether to succeed or fail. For the workplace or organization, the right attitude translates to productivity. The single most efficient way to increase your productivity is to have a positive attitude at work. There is no other magic formula that increases productivity other than really, really enjoying your work. Courtesy and Humility – This is about being courteous and respectful of people in the office no matter what their rank and designation. Courtesy shows politeness in one’s attitude and behavior toward others. Basic courtesy is polite speech or action. Use words like “please” and “thank you”. Another pleasant trait is humility, which simply means being humble when conducting yourself in the office. Humility is about having a healthy self-concept and being confident that you’re fulfilling your plan and purpose with integrity. Punctuality and Preparation – This means two things: first, punctuality is the act of being on-time in your appointments, which means showing respect to others; second, it is about being prepared to engage and the ability to complete a required task before or at a designated or committed time. Cultural differences make this attitude a little more difficult to traverse, but being on time and prepared are universal signs of respect. Pleasant – You can go an extra mile for someone with a good attitude. Unpleasant attitudes are restrictive and counter-productive. An example of an unpleasant attitude is giving non-constructive feedback. Upon receiving this feedback, people tend to become more reserved and keep things to themselves so as not to be criticized or blamed. Another simple tip is to wear a smile. Smiles are disarming and opening. Smile often even when the going gets tough. I know it is difficult. Try getting into the habit of smiling even when stressed. You will soon notice less knotted facial muscle and people will work better with you. People with pleasant attitudes are a lot more fun to be around and consequently have better relations at work. This translates into better teamwork with peers; better working relations if you are a manager; more satisfied customers if you are in a service job, etc. Taking control of your attitude in the workplace and making it a habit to be courteous, humble, punctual, prepared and pleasant requires personal accountability. This means taking ownership of improving your attitude and understanding what you need to do to achieve it. You can do it one small step at a time by taking personal ownership. Bear in mind that it is a continuous process. Having employees with pleasant attitudes means the difference between a positive and productive work environment or a workplace full of problems and negativity. Your attitude determines how other people in your working environment perceive you. If you decide to have a cheerful, outgoing attitude, people will be drawn to you and you will be easy to collaborate with. When working on improving attitude in the workplace, it would be best to work with a mentor whom you can collaborate with. You can ask for frank feedback from your co-workers or have a discussion with your supervisor. Make it a habit to be courteous, humble, punctual, prepared and pleasant. You can do it one small step at a time by taking personal ownership. Case in point: Ira Fialkow was the Executive Vice President for Shared Services at CEMEX, until recently. His career spans 25 years and he is a highly respected leader in his field. I consider myself fortunate in having had the opportunity to work in his organization. Our collaboration continues, even today. I continue to learn from Ira, and he says he continues to learn from me! I believe that people thrive best, and succeed, when they have the opportunity to develop under the tutelage of those who precede them. 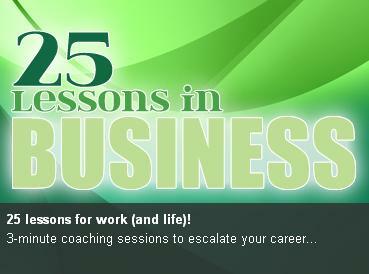 This series marks the culmination of 25 business lessons documented and developed by Ira over the past 25 years of his career. They were learned the hard way: through experience. Ira used to distribute these lessons to the team every year. The lessons changed slightly, over time, as new ideas emerged and new learnings were incorporated. In this series of 25 short articles, I will endeavor to share the 25 business lessons that I’ve learned from Ira and our shared services team. The series is split across five sections. Section 1 is about continuous self-improvement. In any endeavor, change begins with oneself. You cannot create a successful organization, nor be successful yourself, without the drive to do better and be better. Section 2 is about creating a better work environment, and leads on from Section 1: Improving oneself means improving one’s professional atmosphere; no real change can be achieved without this. Section 3 is about customer service: Every business unit has a customer, whether internal or external. And just because you don’t have direct dealings with the company’s external customers doesn’t mean you don’t have customers of your own. If you work for the payroll department of a large fast-food company, your customers are the employees in the payroll, and you need to know how to provide good customer service. Section 4 relates to improving productivity. This includes eliminating bureaucracy and other things that hamper good service delivery. Let’s say you have great products and can provide good service. If it’s not affordable, easy to use, and timely to the customer, then it just doesn’t matter. Section 5 involves competitive advantage. Much has already been written about competitive advantage, I know. But you’ll be surprised at some of the simple things you can do. Each journey begins with a single step. In terms of change, this means starting with oneself. The six business lessons in this section suggest that everyone, irrespective of the successes already achieved, benefits from continuous self-improvement. Business Lesson 1 : Have a mentor (even if they don’t know it). Be a mentor (someone is watching you). Most guides to mentoring start with advice on how to find the right mentor. This generally takes the following approach: (1) you have to look for a mentor with broad knowledge about the industry as well as expertise in the area you specialize in; (2) you have to find a mentor who is successful and on whom you can model your career; and (3) you have to formalize the relationship between mentor and mentee to make it long lasting and successful. Given all that – how can you have a mentor(s), and they don’t know it? What you do in the office is observed by the people you work with. Positive behavior creates positive impressions, which people will emulate. On the other hand, consistently below-par behavior can cause problems in the organization by creating dysfunctional teams. Having a mentor means finding someone to emulate and learn from (even if they don’t know it). You can have as many mentors as you need – people that excel in different disciplines and that exemplify different values. In my career, I’ve learned that mentoring is a process of engagement and inspiration, in as much as it’s a process of learning from someone. At its very core, mentoring (whether mentor or mentee) is about wanting to improve yourself, in alignment with your goals. The shared services organization that Ira established and led for many years was the first recipient of the SSON’s “Best Mature Shared Services” Award in 2003. How did the organization earn this prestigious award? Ira has always attributed success in shared services to excellence in providing service to customers at an overall value that is better than other options. We have a very strong customer service culture within the organization, and this culture actively encourages mentorship. Ira explains: “If you choose a positive attitude, show respect towards your customers, and treat them as if they are the reason for your organization’s existence (which they are! ), this behavior develops into norms and values and permeates your culture, subsequently becoming the core of your service culture. This lesson reminds me that I can become a mentor simply by doing the right thing. And I can do this in every aspect of my life, wherever I interact with people – in the office and at home. Mentoring is two-way, or multi-way, each individual learning from the other. However, if I want to be a mentor, I need to understand myself first. I have to work hard in pursuit of excellence and integrity, and I have to be generous in sharing my knowledge. Douglas Lawson describes it well: “We exist temporarily through what we take, but we live forever through what we give.” I believe truly successful people raise others up. They don’t feel threatened. Instead, they find reward in seeing others succeed. Being a mentor means inspiring commitment, building insights and motivating people to focus on the goals and behaviors that matter. Mentoring is about behavior and doing the right things in the workplace; not just because it’s right, but because someone is watching you and will copy your behavior. It becomes the norm, and the norm underpins the values of the organization. Positive behaviors create positive impressions and people emulate them. Consistently observed poor behavior, on the other hand, could spell problems in the organization and create dysfunctional teams. Creating an excellent service culture requires that you practice the positive behaviors of the organization’s value system. “Customers” are the reason you are there! At its core, mentoring (or having a mentor) is about seeking inspiration to improve yourself in alignment with your goals. Mentoring is two-way or multi-way, each individual learning from another. Whether you know it or not, you are a mentor to someone right now. We encourage you to write (as comments in the post) your own thoughts and experiences about mentoring (in business and life). This will enrich the topic and discussion for all the readers. Thank you. Glenn Remoreras is an IT Manager at CEMEX. He brings over 12 years of experience as an IT director, business processes manager, project leader, and consultant. He has focused on enabling business solutions through the use of IT capabilities. Glenn has been involved with various post merger integration projects.